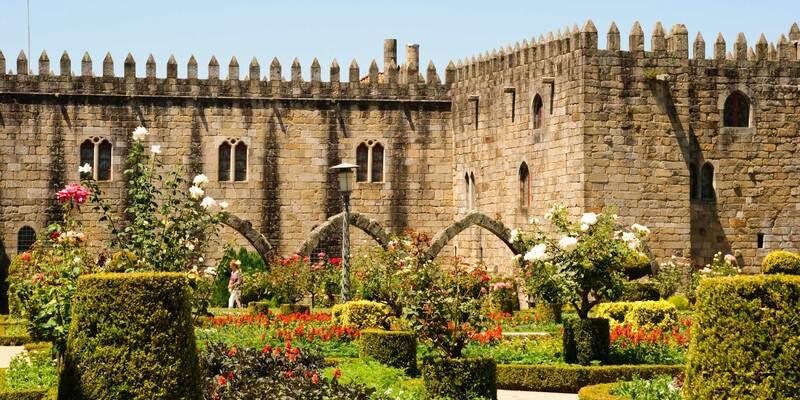 Imagine yourself going back in time to the Renaissance and enter Braga through the Arco da Porta Nova archway, where the keys to the city used to be handed over. This symbolic key will open up the doors to a thousand-year-old city whose monuments display the brilliance of the power held by its bishops. In Roman times, Emperor Caracalla elevated Bracara Augusta to the capital of the province of Galécia, now known as Galicia. Under Roman rule, the city was occupied by the Suebi, Visigoths and Muslims, until it was conquered by Christians in the 11th Century. 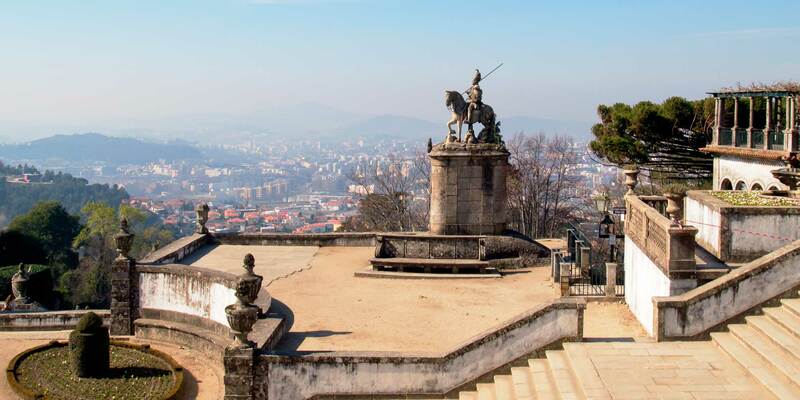 Its Cathedral - the oldest in the country – was Portugal’s greatest religious reference and the popular saying "older than Braga cathedral", to denote a thing of great age, sheds light on just how far back it dates. The city’s ecclesiastic power, so often associated in Medieval times to the power of the sword, extended to the kingdoms of Spain and Portugal. 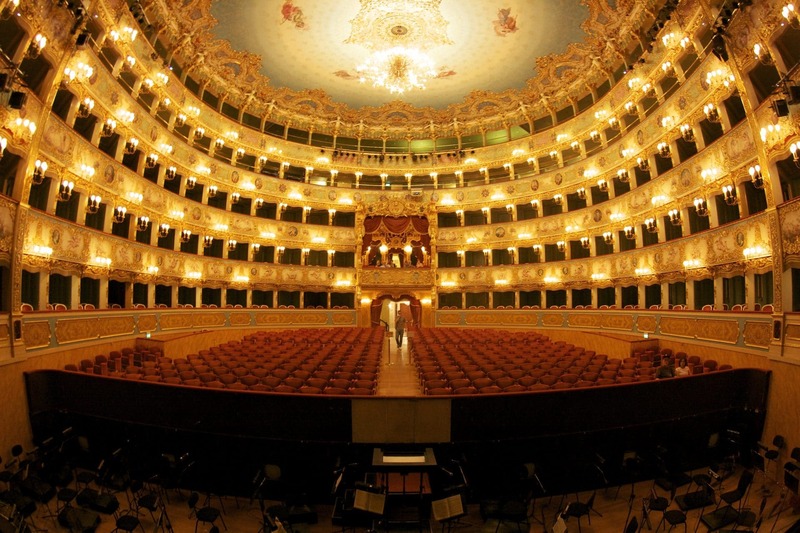 Later on, the exuberance of Baroque art would add other magnificent buildings. The city retains unexpected reminders - great and small - of all the different eras, such as the Medieval tower right in the middle of the street, windows and Venetian blinds which would conceal the faces of the women within, and a rocaille palace which looks like a Louis XV chest of drawers. More recently, the establishment of the University and the quality of its contemporary architecture have brought the freshness of youth to the city and filled it with light, colour and an unexpected modernity. The main routes to get to the Hotel are Avenida João XXI and Avenida João Paulo II. Rent a Car - You can rent a car in the arrivals area at the airport through the car rental companies. Another possibility is to make a reservation in advance. From Porto you can use the Porto Campanha train station to Braga station. Train departures are regular. Urban Train - 1h06 min. Alfa Pendular - 39 min. The Airport Francisco Sá Carneiro (Porto) is about 55 Km from the Hotel and its journey on the A3 and A41 takes about 35 minutes. Continue onto Av. Dr. Francisco Salgado Zenha. Follow the Av. Frei Bartolomeu dos Mártires and Av. João Paulo II towards Av. Gen. Carrilho da Silva Pinto until you reach the Hotel Meliá Braga. 88 - Praça da República - Meliá Braga (via avenida João Paulo II) - 17 min. 43 - Rotunda Estação II - Meliá Braga (via universidade do minho [university of minho]) - 20 min. 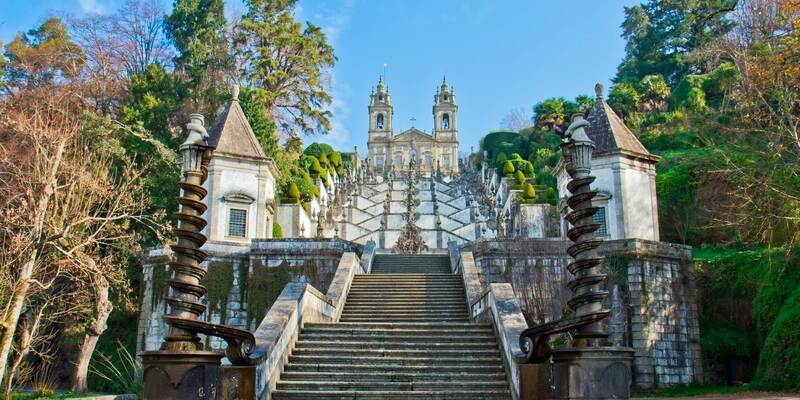 Bom Jesus do Monte Sanctuary is one of the Braga's ex-libris as a architectural-landscaped structure composed by a church, a staircase known as Via Sacra do Bom Jesus and large gardens. 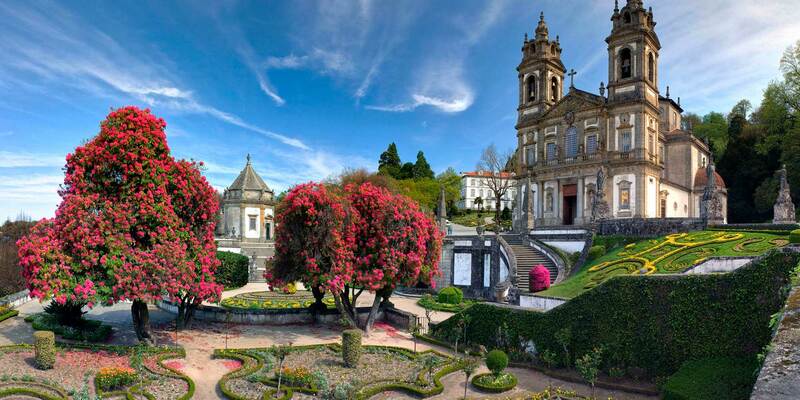 Also visit the Sameiro Sanctuary, one of the major centers of devotion to the Virgin Mary in Portugal. 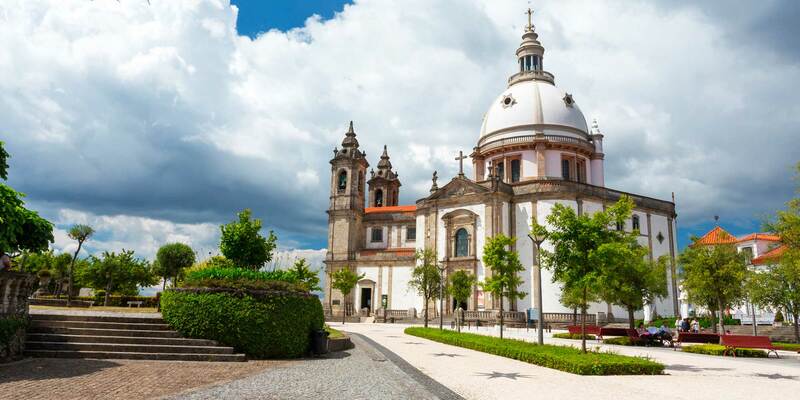 In the center of the city visit Braga Cathedral. 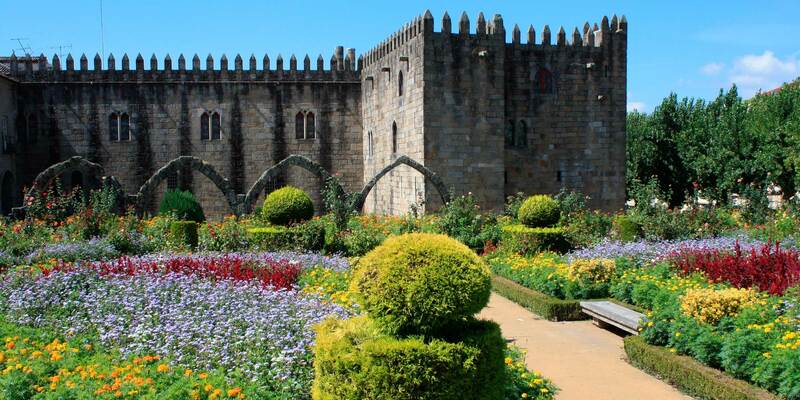 The Santa Barbara Garden located in the Episcopal Palace is a mystical and enchanting place which should not be missed. and baroque gardens, which reflect the lifestyle of the eighteenth century aristocracy. 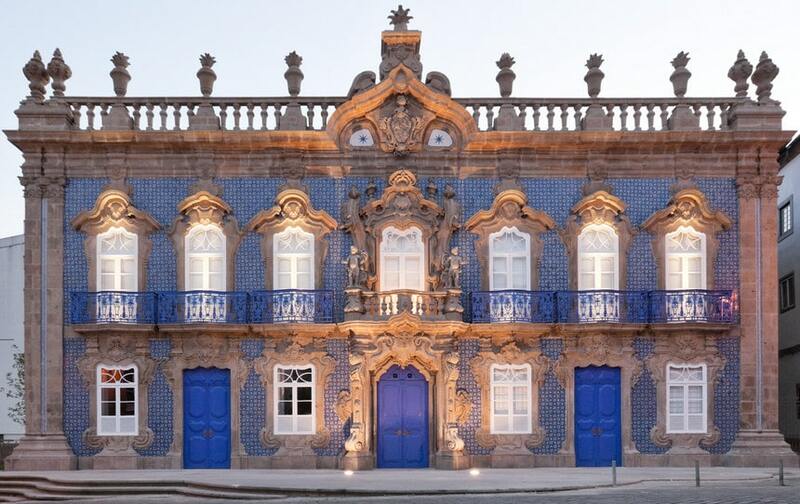 Visit the Museum of the Biscainhos, where you will find collections of decorative arts such as: ceramics, goldsmiths and ceramics. The Raio Palace or Mexicano House is another attraction not to be missed by the charm of its ornate tile façade and the rich collection of religious art, painting, sculpture and ceramics. disruptive exhibitions and innovative projects.